We have all had experiences that lead us to make big decisions in life. But what if the way you are going is not the way you wanted things to go? Gina Gardner's ability to inspire, educated and challenge the ways with think in to a more productive, positive way forwards. She coaches, gives talks and engenders a way forwards in people that help them see the correct way forwards for their needs. Gina has worked with individuals and businesses alike enabling them to see their potential and reach their goals. If this sounds like something you need right now, get in touch. Gina is a click away. Someone told me recently that they only needed a little encouragement and some recognition of the work they do in order for them to feel so much better each day. That's all it takes for everyone, isn't it? Yet so often we allow our achievements to be overlooked. Every day is an opportunity to achieve. Being the manager of a multi-million pound company might be the achievement of one person but getting out of bed is an achievement for another. Using the services we've honed, you can learn to be kind to yourself and achieve all you want to. It's all about the mind set. It is all about allowing yourself rest, sleep and exercise. Get in touch with us to see how we can assist you spring clean your mind set and watch the flowers bloom. Seasons often affect us via our diaries, our business finances and our moods. Coming away from the winter now we are leaving behind the inclement weather, the unexpected snow and the drizzle of grey days. Soon we will experience mornings that shine through our windows, daffodils and crocuses will raise their heads with a floral smile and we'll feel brighter generally. And all this is down to the cycle of nature. Some of us are naturally bright this time of year and others need a little assistance. If that assistance is in the form of business coaching, then look no further. Gina Gardner has assisted many new and existing businesses see the grass from the trees enabling them to focus on what is important for the future of their employees and their clients. Gina is well versed with the cyclic nature of business and so will provide you with the very best of her experiences to ensure yours has a future that is bright and yields fruit. Do get in touch soon, Gina will be waiting for your call. Some of us choose to and some of us have to. The trick to knowing if you want to work throughout the festivities is often down to money. If you are self-employed, often the need to earn enough to pay for Christmas presents means you may well be working into the small hours each night, every night. But there is a solution to this. It's called 'the work-life balance'. Yes, you've heard it all before but think about it. The balance is there so everyone can enjoy being with you when it matters. For children, this might mean at mealtimes, bath time or bed time. And what about time for yourself too? That is more important because nobody can pour from an empty jug. Gina understands some peoples need to please others. She provides support in ways to fit exactly the person with whom she is working. This time of year is especially important to self care because it expects so much from us, as individuals, as workers, as families. Get in touch with Gina if you feel your time is not being used with you in mind. 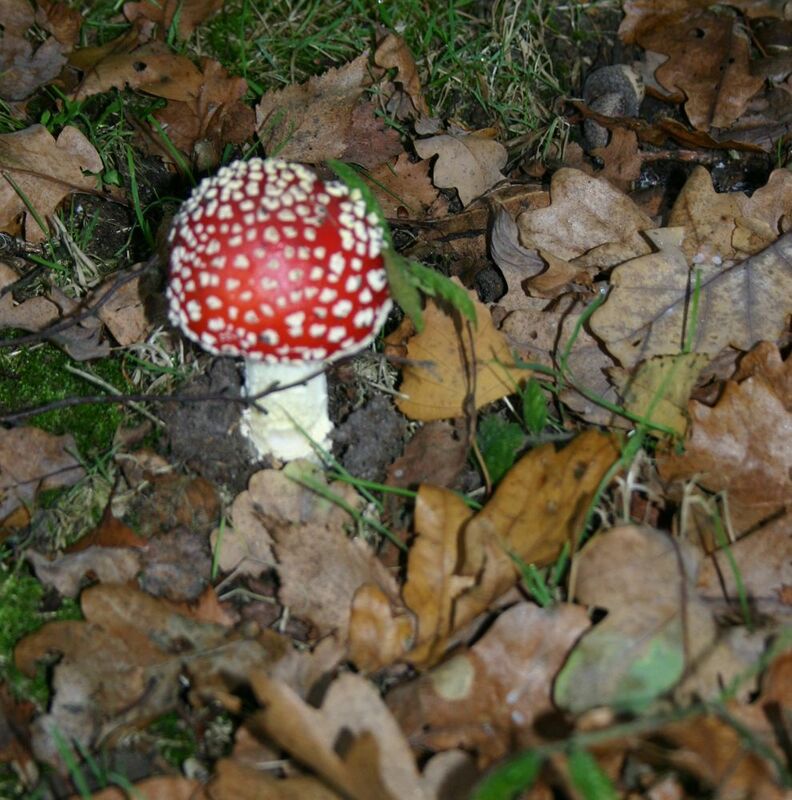 October is with us and soon the days will be laced with dew, spiders webs and the occasional icy path. Along with the darker evenings will be the cosy feel that this season brings. Why not utilise those darker evenings by reading one of Gina Gardiner's books? Gina has written several books over the years which are all geared up to inspiring us and motivating us to get the very best out of ourselves. Gina has lived an interesting life that has taught her lots of lessons that she has put down in writing in order for us to learn too. Always written in an entertaining way, her style of content poses serious questions while offering intriguing answers. Aside from Gina's other services which you will find via her site's pages, you can find her books on Amazon in E format and in print. Alternatively, you can book her for an after dinner talk to gain the very best of her insights in person. Do get in touch soon. You'll be glad you did. Even though the weather is going to start getting colder soon, don`t worry about it because we still have plenty of sunshine to enjoy in September. The kids have gone back to school so we now have some time to think about our own needs. Preparing our families for the first day of term - and sometimes the first day of school - can take it out of us. Therefore, allowing our minds to switch from 'all-go' to 'hold-on-a-moment' gives us a break to think about what we want to achieve with our days. Parenting is a role that takes all of us all of the time but even super-parents need to take a brain-break. A simple ten minute meditation or a brisk walk outside to see the start of the autumnal coloures take hold is often all we need to recharge. For tips on 'taking a moment out', do get in touch with us soon. 21/08/2017: Focus on Yourself This Month! August, named after the first Roman Emperor Augustus, is now with us. We still have our beautiful summer weather, and a bank holiday to look forward to at the end of the month. So now is the best time to focus on yourself. Emperor Augustus had the month August named after him because of all the fortunate things that happened to him in that month, so August is the month for fortunate things! Who knows? Getting your mind and body in the same space may be your fortunate thing. Trying to do too many things within your working day can send you into a tizzy but Gina Gardiner's talent for 'un-tizzying' you is second to none. Gina helps you realise that there is only one 'you' so focus on yourself this month. To start off 2017, a second edition of my book Chariots on Fire: The Winning Formula For Happiness and Success will be republished along with new material. The book will be released on paperback along with the online version which can be purchased at Amazon and The Endless Bookcase Chariots of Fire is a book aimed at helping you to achieve a fantastic life right NOW. 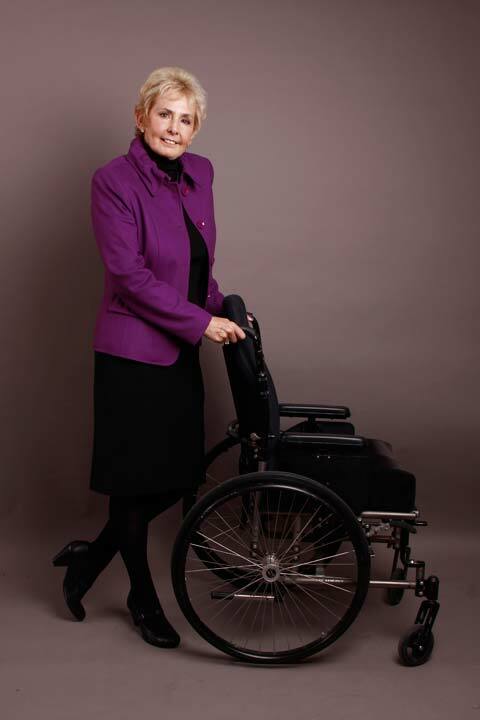 It is full of Gina's advice and autobiographical accounts of situations she has experienced when she was forced to use a wheelchair to get around after a skiing accident in 1983. Because Gina was in a wheelchair she had to look at the bigger picture and develop new ways to motivate her and her staff at the primary school she was the head teacher of. The paperback book launches on the 17th of January and will be available for purchase online or you can contact Gina for a list of stockists. A modular series of relationship exercises which may help repair a relationship that's been damaged by the stresses and strains of modern living is also going to released. They will be released under the Chariots on Fire name online. Available for purchase at the same places as the book. Summer is here again and as usual, fashion magazines, the press, radio and television are full of people exhorting us to develop the 'bikini body' or 'stunning six-pack' to impress all around us. Out here in the real world, this can seriously impact on the confidence of all of us who are either not genetically predisposed to, or who don't relish the pain of fitting into this increasingly skinny, uncomfortable mould. Often I find myself working with clients on their confidence. The confidence to be comfortable with their self image against the stereotypical public image promoted by the media and the vested interests, selling a physical state that is not achievable for so many. Call now, or click in the header of any page to email me and we can start helping you believe "I am what I am, I am who I am and I am proud of that", after just a few short self-belief sessions. While not addressing the problem, managers take on a great deal of worry, using up valuable time and energy which could of course be better spent elsewhere. Things are left until the manager is so frustrated they then lose their cool and there is a big row. Relationships are damaged as a result. Often the person not living up to expectations is completely unaware. As nothing has been said they believe they are doing a good job. There is no established agreement of what is expected so it's really hard to measure up. When staff are allowed to get away with things it can cause friction with other staff. The staff who do live up to their managers' expectations can be disheartened to see others 'getting away with it', leading them to feel unfairly treated or feeling "why bother?" This too impacts on productivity and profitability. Does this problem sound all too familiar? There is one key solution: setting high, clear, explicit expectations and sharing them from the outset. It is then so much easier to hold people to account effectively. It is useful to remember that we humans are naturally driven to push the boundaries. When we are given too much slack, we push the boundaries even further. The manager-staff relationship is very similar to that of a parent and child unless you teach your staff to take responsibility for their own performance. To do that effectively, the expectations need to be set right from the first day and revisited regularly. A good way to establish boundaries is through induction and training and staff meetings, ensuring that a shared agreement is reached. It is helpful to offer the expectations in writing so they can be referred to at a later date if they are not met. They need to be an integral part of everyday conversations so that they support the culture of a 'can-do' organisation. There will be times when people don't deliver what is expected. It is important to deal with this quickly, professionally and with no aggression. There should be a sequential process to manage such situations so if and informal chat doesn't work there are things in place if it requires a more formal approach. In essence, expectations and boundaries should be clearly laid out. Sequential follow-ups can then be carried out in a non-aggressive yet firm way. This ensures that expectations are consistently met, leading to a reduction in stress and increased productivity. Assertiveness is an important skill in the workplace. By being assertive, managers can ensure that they get the best out of their staff, as well as making sure that what they want is made clear. It has been my experience that when managers are under significant stress they can cross the line into being aggressive and bullying. This is hugely damaging to relationships and in turn to productivity and profitability. There is much research into the causes of stress. Bullying is cited as one of the major causes. Billions of pounds are lost every year because of the high levels of absence caused by stress. Equally the research into what makes companies successful over a long period of time demonstrates that great working relationships built on mutual trust and respect are at the top of the list. People being intimidated because the manager's body language or voice is agressive. Not listening to staff and taking their concerns, queries or issues seriously. Not giving staff a chance to understand what is required. Telling someone "it's not good enough" without being explicit about what specifically is required is a very common issue. Disciplining staff in front of others. Using sarcasm or belittling people. Assertiveness, on the other hand, has a lot to do with staying calm. When speaking, only 7-8% of the impact comes from your words. Over 50% is wrapped up in body language and over 30% is down to the tone of voice used. This means it is especially important to remain calm and in control while communication with others: a golden rule is to never deal with people when angry. Understandably, there will be times when you do feel frustrated, but it is far better to walk away and come back to the issue once you are calm than say things you might regret later because you are angry or frustrated. Explaining this to your staff will be beneficial to the working relationship, encouraging open communication. If something is going wrong with your team, it is useful to look to yourself as their manager first. Do you need to set clearer expectations? Are you giving developmental feedback? Are you holding people to account effectively? Do you need to change a policy? Learning from any situation is important if patterns of behaviour are not to become entrenched. My favourite quote is from Einstein - "The definition of madness is to keep doing the same and expecting a different result. Yet we all do things over and over again whilst wishing things would change. The outcome is in your hands. If you would like more helpful information on managing relationships in the workplace, give Gina a call on the number shown above, or click the header of any page to send an email. How many times have you heard someone say that they will try to do something? Try to stop smoking, try to lose weight, try to get a better job or try to take more time off? Adding the word 'try' to the beginning of such statements implies that it is hard, beyond reach or not possible. In short, setting up for failure, giving permission to fail. Being mindful of the language that we use when negotiating with ourselves over tasks or goals can change the whole balance of percieved possibility. 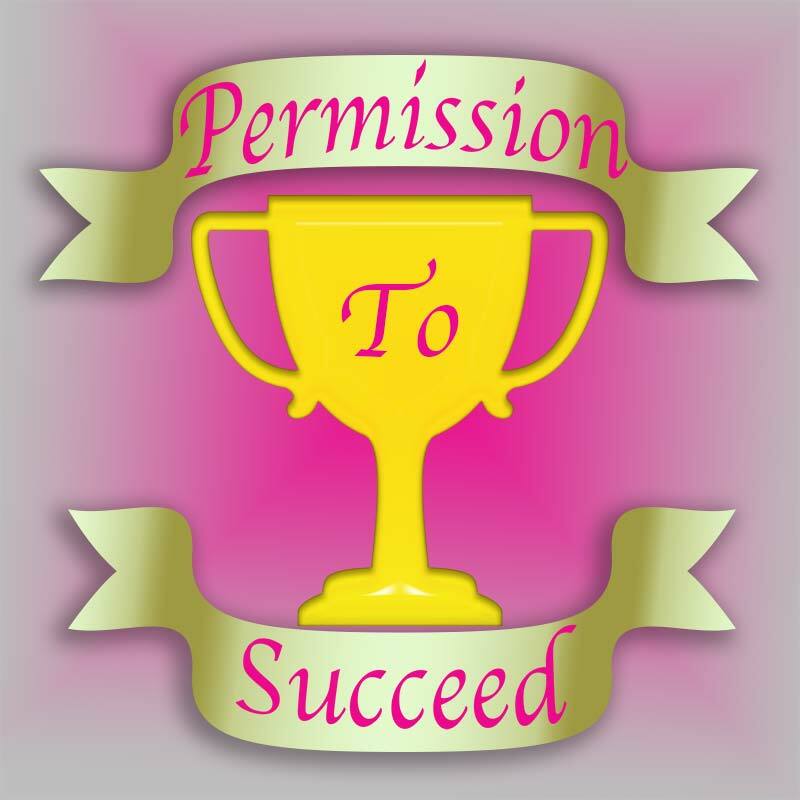 By leaving out the word 'try', we are giving ourselves permission to succeed. Success can sometimes be achieved by people just because nobody told them that they couldn't. By managing the perception of possiblity and consciously deciding to negotiate positively with ourselves, levels of success in work life and private life can be dramatically improved. You can start making a change in the way you see things right away. For a consultation and game-changing plan, call me on the number above, or click in the header of any page to email me. Accelerated Growth is a part of the government backed Business Growth Service that offers support to businesses with the potential to improve and grow. This can take the form or coaching and mentoring, consultancy and training to help you get the most out of your business. 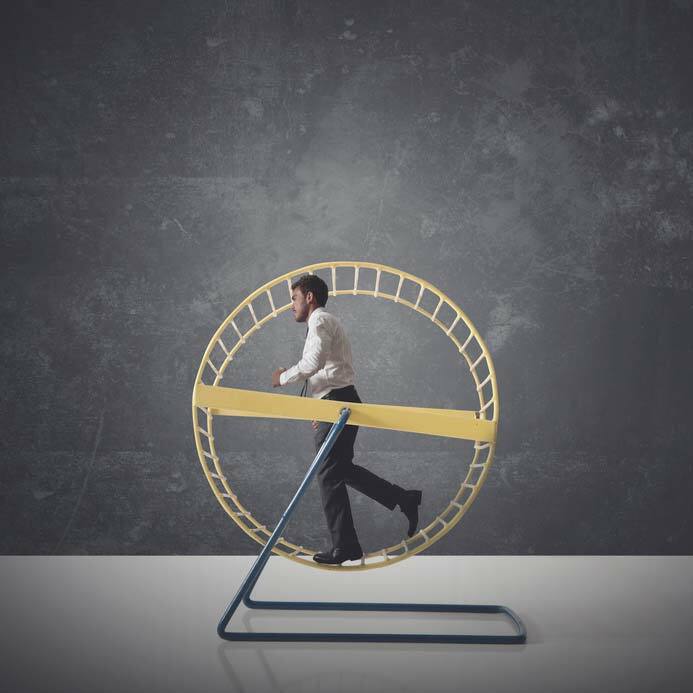 When you are so close to what you do, sometimes is is difficult to see the barriers and sticking points that are there, preventing your business from achieving its full potential. Now, you can get help with the cost of getting an outside opinion as to where improvements can be made, and what to change about your business practices to get the best possible improvement. The service is aimed at growing businesses that have the potential and the market to grow more. Gina Gardiner Associates are proud to be part of the network of Accelerated Growth mentors and coaches. If you would like to talk over the next steps of growth in your own business, give Gina a call on the number above, or click in the header of any page to send an email. As confidence in the economy grows, how are you planning to capitalise on new opportunities - or is 2014 going to pass you by before you realise you've missed them? 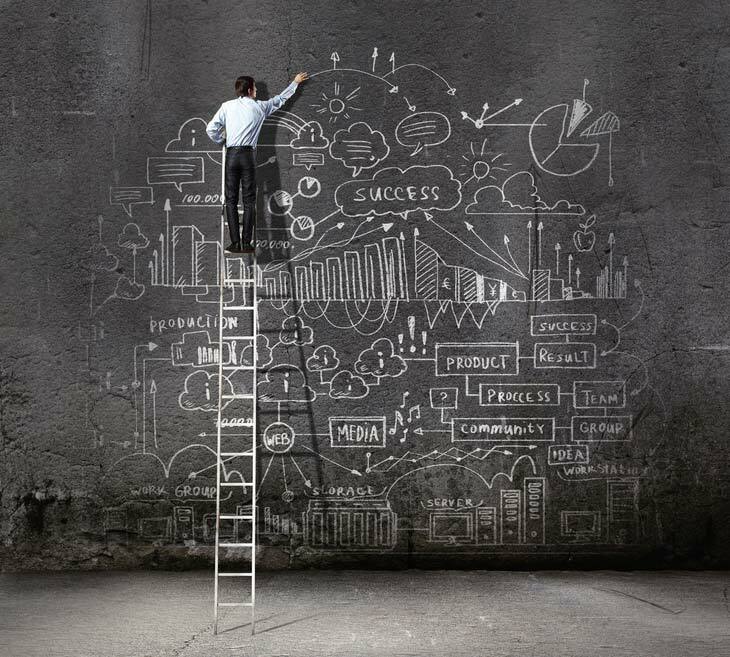 Whatever industry you may be in, whatever size your business may be, and irrespective of your business turnover, the key to running, managing and owning a successful business comes down to strategic thinking and cohesive planning. In other words, having business insight and exploring opportunities. Often my clients explain they do find it difficult to look at their own business with an objective eye, particularly, if they are a sole trader or owner/manager. However, as an experienced business coach, I guide my clients through the processes to analyse and evaluate procedures and consider how they can maximise and improve productivity while looking at other ways to best utilise current resources. Keeping abreast of every area of your business from productivity, profitability, finances and cash flow to managing staff and internal procedures, will all help to secure a more stable future for your company - but where do you start? - Take a step back - try and see your business from your customer's perspective - it's not just a case of first impressions; good and consistent customer service, setting and meeting expectations and service delivery are equally important. - What is it you offer - whether you are a service company or manufacturer what is it you are really giving your customers and are they getting value for money? - What is your USP and are you making the most of it? - How good is your reputation and what can you do to improve or retain it? - Are you making the most of your existing contacts and clients - referral business is invaluable; can you incentivise your customers to talk about what you do for them? Simple measures such as case studies and testimonials are as good for their business as they are for yours. - Vertical markets - does your experience and expertise enable you to market your business in the same or similar industries and take work from your competitors? Some of these ideas may seem obvious but it's surprising how many business owners really don't have a handle on the most basic elements of their company's operations and the huge impact implementing simple changes can have. Implementing change isn't about spending lots of money. Good leadership skills and clear, sensible communications can help to motivate staff and improve attitudes. A positive working environment, a good atmosphere and mutual respect can have a far more positive outcome on productivity and profitability than providing your staff with the latest technologically advanced tools and equipment. Further information on strategic thinking and planning can be found in previous blogs and on other pages of my website. 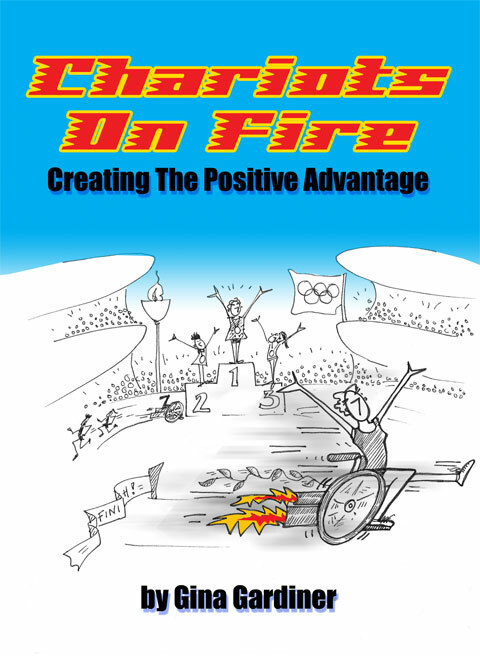 My books Chariots On Fire - Creating the positive Advantage and Managing Your Staff More Effectively both are equally as effective as tool guides and are both available to buy online. 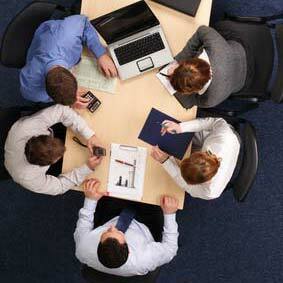 10/12/2013: Could your workforce do with a little inspiration this Christmas? Christmas is coming. The goose is getting fat. But are your company coffers? If you are having a staff do this Christmas, why not make the most of the opportunity to engage your staff with a motivational and inspirational speaker who can instil a 'can do' culture in your workforce and help your business perform better. In general, people are often more receptive to new ideas if they are relaxed, and with the New Year just around the corner it's the ideal time to strike a chord that resonates with you and your staff and leaves them with the feeling of; "You know what? I am capable of more." It's not about the business getting the best out of them; people will rarely buy into that. It's about giving people the opportunity to make the best of themselves. That way employees feel rewarded and want to give their very best, maximise their performance and in return the business will benefit from that. But don't worry. Just because I work to get the best out of people it doesn't mean your staff won't be entertained, as an inspirational speaker and motivator I know how to entertain an audience, engage them and educate them at the same time. "Gina's ability to educate, inspire, challenge and make her audience laugh has made her one of the UK's most respected inspirational speakers," said Barbara Hofmeister, an author and expert on the topic of human growth. I engage my audiences using with real life scenarios, problems I've faced and the successes I've achieved while overcoming them - this enables me to give my audience the practical solutions and belief that they can do the same in their own lives. And your company Christmas meal or get together could be the perfect opportunity to give your staff a lift in a relaxed environment. How can a motivational speaker and more motivated workforce help your bottom line/business? - Provide a boost to productivity, company loyalty and levels of employee engagement. - Lower levels of absenteeism and staff turnover, meaning less lost hours and a dramatic cut in training and recruitment costs. - Contented and happy workers provide a higher quality of customer service and a more positive face of the company, improving your organisation's reputation amongst both prospective customers and staff. - Combat lack of confidence - do you feel members of your staff are capable of more? But also feel that they themselves aren't so sure? - Boost morale - helping your workforce find a new lease of life for your workforce - giving them and you more energy and an added purpose. 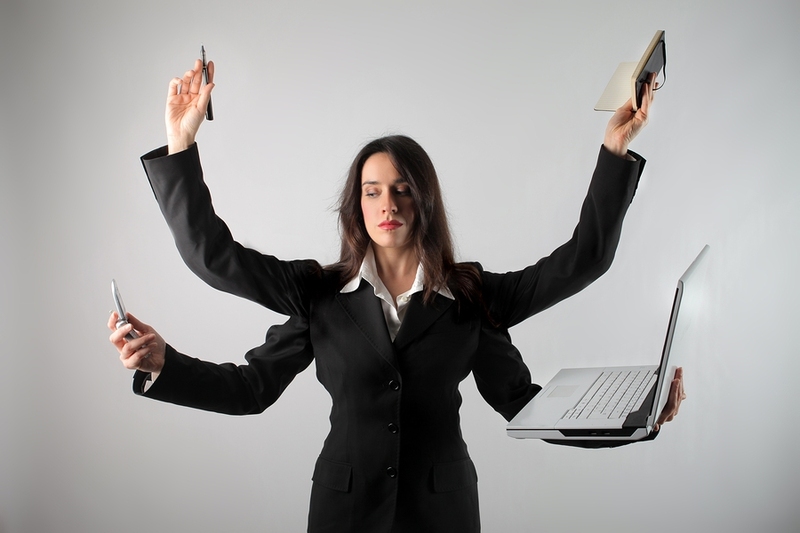 09/10/2013: Are you a workaholic? The end of the summer is upon us and that can mean only one thing for workaholics; with the kids back at school, the holidays over, nothing stands in your way of non-stop round-the-clock work until the next school or public holiday - Christmas. According to a recent US study, working more than 50 hours a week can make you a workaholic and this can seriously damage your mental and physical health and well-being. The study found that workaholics were more likely to have reduced physical well-being, measured by skipped meals, along with reduced mental well-being as measured by a self-reported depression score. Researcher Sarah Asebedo, of Kansas State University, who conducted the survey, concedes that some workaholics already know, but for reasons personal or financial don't know what to do about it: "Even if you understand the negative consequences of workaholism, you may still be likely to continue working because the cost of not doing so becomes greater. "Sometimes you find people don't like what they are doing and they want to make a change, yet financially they don't know how they can accomplish that." If you think you could be or are a workaholic - I can help you readdress the balance in your life by holding a mirror up to you and all aspects of your life and allowing you to listen to yourself to see where to changes need to be made, and then I can help you put those changes in to practise. I will help you work through problems such as decisions about your career path, improving your confidence, assessing your personal motivation and improving your self-esteem using techniques such as problem solving skills, time management, and differentiating between urgent and important issues. My methods with workaholics have helped many people to put their lives in perspective and establish, then maintain, a more reasonable work life balance. Achieve more by doing less! Our perception shapes the quality of our lives. Every coin has two sides and depending on which one we focus on dictates how we will react to any situation or opportunity. Helpful or not helpful. Fear or excitement. Opportunity or threat. All of these alternatives and more are presented to us daily and we have to make the right choices. In Chariots on Fire, Gina examines how we can all make more of the right choices and follow the positive course of action by perceiving ourselves differently. 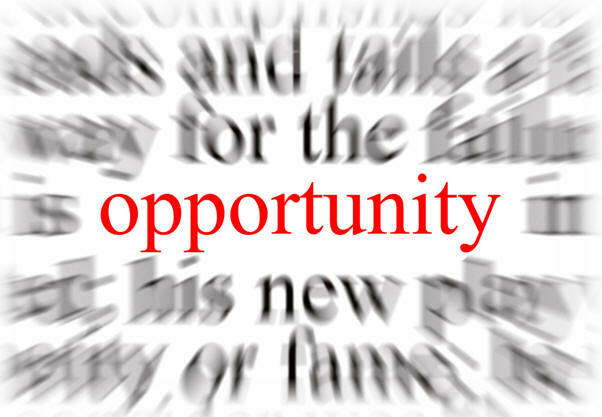 The best way of finding opportunity is to look for it in the belief that it is there. Reading this book can give you the tools to make the shift in perception that will make you master of your own destiny. Follow this link to order online. If you prefer to phone, call the number shown above, or click in the header of any page if you want to send Gina an email. "High growth SMEs are responsible for nearly half the job creation in the UK economy so we need to make sure they are getting bespoke, high-quality business coaching." Accredits Business Secretary, Vince Cable, who continues, "Growth Accelerator is providing thousands of businesses with the advice and support they need to do just that." One aspect is the access to a £2,000 matched funding grant for managers to undertake leadership and management training, a fund which demonstrates the government's faith in the crucial role of quality business coaching and leadership development on business. According to the 2013 Annual Report 'Where high growth happens', more than four fifths of Growth Accelerator businesses will increase their turnover more quickly because of the service, and almost three quarters will create jobs at a faster pace. The success of developing businesses through leadership and management coaching is very familiar to me, after all, I have over 30 years' experience in this field. It is fantastic to see the government recognising the positive role coaching has to play and pushing it the forefront of developing businesses in the UK. Building a winning team of well trained staff you can rely on is key to improving all round business performance. Whether the goal is to develop confidence and leadership, or to inspire individuals to see themselves as the solution, with the right techniques there are ways and means of achieving your goals. As I mentioned, I have 30 years of experience as a qualified mentor and coach, and can tailor presentations, workshops and programmes to help individuals maximise their leadership potential. If you're interested contact me for a free 15 minute consultation, or have a look at my website to find out more about how I can help you. I also have written a book on the subject, 'How YOU Can Manage Your Staff More Effectively', which is available or to download as an e-book (for just £4.92) or as a hard copy from the Publications section of my website. How YOU Can Manage Your Staff More Effectively is the perfect read for managers and supervisors who find certain aspects of their job quite daunting and who struggle to deal as effectively as possible with staff and get the best out of their team. If you are going to the Enchanted Festival in Stock on October 12th, you may come back with more than just a souvenir teeshirt. Gina is speaking at the festival about the life-changing content of her book "Chariots on Fire", provoking thought about a new perspective and some positive ideas about change in your business and personal life. Dan Reed, musician and curator of the festival said. "Enchanted is about re-igniting and exercising the creativity we allow to stagnate in our 'going faster is better' approach to music and art.". To music and art, you could add, "our whole lives". Creative solutions come more readily when you take up the simple attitude adjustments put forward in Gina's books and talks, helping us to free up the thought processes and make the right decision more readily. The music will be great, the surroundings idyllic and the talk thought provoking. See you there! Check out the Enchanted Festival website for more details. Autumn is a time for catharsis, the beginning of the necessary death in nature that brings new life bursting through in spring. In our working lives it is a good time to think in a way similar to nature. Get rid of the dead wood and devote all energies to reaching our personal and professional goals. Having had a break in the summer gives an opportunity to take a look at working practices and habits, to assess the elements in our working life that really contribute to our goals, and those which are just there through habit, adding little or no value to the time that we spend at work. Often the problem is that being too close to the action it is difficult to look objectively and analyse the structure of our working pattern. With a little help however, things can very quickly become clear. By standing outside and looking in, it becomes easier to assess strategic options and to make the correct desicions. I work one to one with business people to help them identify what is contributing and what is just habit. We can then work together to make the most of the good and leave the bad behind. To organise an autumn assessment session, call the number shown above or click in the header of any page to email me. Take the first step to clearing your path to success in 2014. 03/07/2013: The holidays are almost here. How about bringing back a new you with the duty-frees? The annual summer holiday is one chance that everyone gets to catch up with reading and relax with a good book. What will your holiday reading list contain? Blockbusters? Biographies? Comedy? Chick-lit? How about something that is going to have a profound effect on the way you live and work? Holidays are also times to reflect, regroup and recharge the batteries for the next onslaught of work. Well, what if you could prepare to reduce the impact of that work? Chariots on Fire has helped many readers to change the emphasis from fire-fighting to strategic living and working, helping them to find more time for the tasks, more time for their families and more time for themselves. Buy a copy now at The Endless Bookcase, put it in your suitcase now and be ready to start doing things your way. 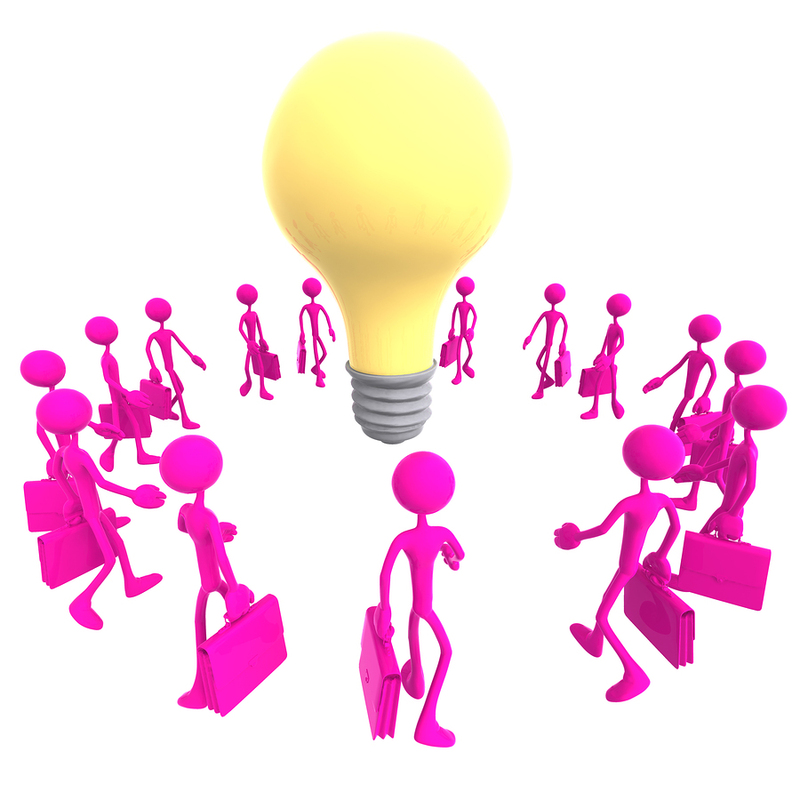 01/07/2013: Can a Happy Workforce Really Make a Difference to Your Company�s Success? If you've had the chance to catch the new BBC, fly-on-the-wall documentary, The Call Centre, you can be forgiven if you think that CEO Nev Wilshire may have some unorthodox methods when it comes to motivating his staff but when 'selling' is a vital part of your business' success, Nev maintains 'happy people sell'. Nev may arm-wrestle his staff, get them to sing and dance during their working day and even match-make, as he tries to fix single members of staff up together, but on the serious side of business, Nev proclaims that if you surround yourself with the right people - the rest is easy. As an advocate for positive leadership, I couldn't agree more. The benefits of a happier workforce stretch much further than good team morale. And, a more positive and happier workforce can produce higher standards of work and increase productivity. Therefore, it's my view that improving the positivity and happiness of your staff has to be an efficient and effective business strategy. 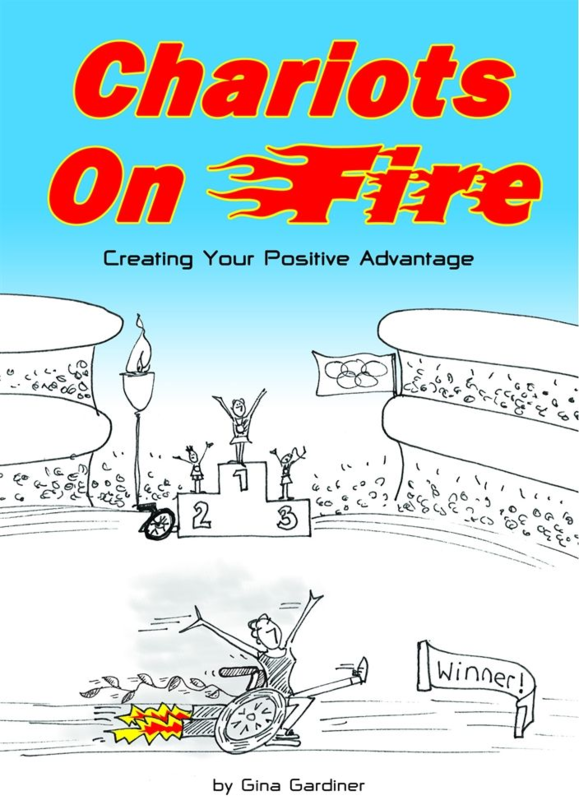 Choosing to be positive and happy, looking at ways to change perception, interpreting motives and developing more positive beliefs, are just some of the many subjects covered in my book, Chariots on Fire, in which my own experiences and those of other business leaders, who have implemented my techniques, talk about creating 'the positive advantage'. Equally, my other book, Manage Your Staff More Effectively is the perfect read for managers and supervisors who find certain aspects of their job quite daunting, and who struggle to deal as effectively as possible with staff and get the best out of their team. Both these titles are now available to download via The Endless Bookcase www.theendlessbookcase.com or via Amazon Kindle. 18/06/2013: How much should I charge? I work with lots of coaches and one self- limiting belief which comes up again and again is the belief that it is difficult to ask for money in exchange for coaching or providing therapy. Having an understanding of the value of what you offer is only part of the issue. Money is simply another form of energy.- it like time can only be used once. Both time and energy have a value and it is interesting how often people under value it particularly when talking about their own. There are so many limiting beliefs about money: how it doesn't grow on trees, that we don't deserve it, that money is at the root of all evil , wealth is intrinsically dirty or difficult to achieve, the list goes on and on . How long have you studied and practiced your skill? What value do you put on your time, energy and expertise? If you don't value it how do you expect your clients to value it? If they lack confidence in your ability to help them then the likelihood is that they will be less inclined to buy into the process. I have found that once coaches deal with their own limiting beliefs and come to a better understanding of the true value that they can offer clients the issue of charging a fair rate to clients becomes a non - issue. Far from losing clients because they are charging more, clients have a greater vested interest in engaging fully with the process and the results are greatly enhanced. Need some help - why not give me a ring, or click in the header of any page to email me. 17/06/2013: The end of the academic year is nigh! And with the end of this year, for many of you it will be the end of full time education and time to find a place where you can put all that learning to practical use. In such a competitive market, it is good to have a CV that really stands out. This can be difficult when you find yourself in the 'Catch 22' situation of not being able to find work without experience and not being able to get experience without work. Over the years I have helped many graduates and school leavers to differentiate themselves and make potential employers take notice with preparation for work training and my book, Kickstart Your Career. For advice and to start planning for your next big step, call me on the number shown above or click in the header of any page to send me an email. It takes certain qualities to be a good leader, and in the world of business these attributes may come naturally but they can also be practiced and learned. A good manager will be excellent at communicating; will know how to delegate appropriately, act professionally and with emotional intelligence towards their staff. Through her Leadership Training, Gina Gardiner works with emergent, middle and senior managers, to help them fulfil their personal goals and teaches them how to become better leaders. Gina will also help you identify your employees' potential, and demonstrate how to attract the right people for your team and your organisation. Building a winning team of reliable and motivated staff is crucial to improving all round business performance and for getting the best results. Gina Gardiner Associates offer presentations, workshops and programmes that are tailored to suit the needs of individual organisations, and these activities can be used as an on-going resource after the sessions. For further reading, 'How YOU Can Manage Your Staff More Effectively,' is available to download as an e-book or to buy as a hard copy. The book is a must-read for managers and supervisors who may be looking for ways to deal as effectively as possible with staff and get the best out of their team. 01206 230497 or click in the header of any page to email me. Nobody would argue that it is a tough world out there for graduates, with limited employment opportunities being fiercely contested for. With this in mind it is vitally important to be prepared and approach each job application by submitting a professional and polished CV, a faultless application letter and of course, keeping a positive attitude. At Gina Gardiner Associates we think that graduating is just the beginning of what will be an exciting and fulfilling journey, and with the right approach everyone will find their own career pathway in life, however endless rejections can be demoralising. With our Graduate Training Solutions we work with individuals throughout the whole process, from making applications, through to the best interview techniques, raising confidence, motivation, and the chances of landing that all-important first job. We also work with several businesses which give us an excellent insight into what employers want from their graduates, allowing us to bridge the gap between the world of education and the faster paced professional world. Providing support during the early stages of a first-time career can be highly valuable in helping an individual progress and bring effectiveness to their role. For more information on our Graduate Training Solutions call 01206 230497 or click in the header of any page to email me. 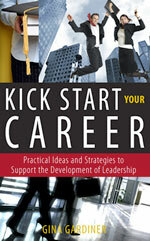 Kick Start Your Career is a perfect self-help guide that is ideal for the graduate or school leaver, and is packed with workable strategies and practical solutions that are easy to follow for today's young and ambitious professional. 03/06/2013: Optimism - Does it Matter? There is a great deal of research which supports the view that people who are optimistic are hard wired to focus on success rather than basing their decisions on fear of failing. Optimists are generally more creative, they look for solutions rather than just focusing and dwelling on the problem. There is an impact on health and well- being too, those people who describe themselves as being optimistic were found to have stronger immune systems and took less time off work. Optimists showed through the research that they were more focused on the present and future whilst pessimists were firmly focused on the past and worrying about things which might never happen. Pessimists also took longer to bounce back after a challenge. I think it is important to make the distinction that when talking of optimism it is not referring to people who plough on blindly with no regard to risk. Optimists belong to the cup half full school of thinking but should also have a well developed sense of perspective: be able to identify potential problems and ook for ways to avoid or to solve them. It may be helpful to consider as an individual how comfortable we are with uncertainty. It is a paradox that there are only three constants, death, taxes and change. Being comfortable with uncertainty is a challenge but one which can be managed with strategic thinking and planning. Can you learn to be more optimistic? I believe it is possible to learn how to get the best out of life and in achieving success go on to strengthen one's belief in anything being possible. This in turn has I know helped many of my clients who considered themselves to be less than positive in their outlook to have a whole new perspective on life - one which is far more optimistic. 18/07/2011: Who Do You Think Is Running Your Life? It is your life or at least that's the myth. For many of us the reality is actually very different. Let me ask you, whose permission is required before you allow yourself to take a particular course of action? Whose voice is it you hear in your head telling you what you could have done or should do? 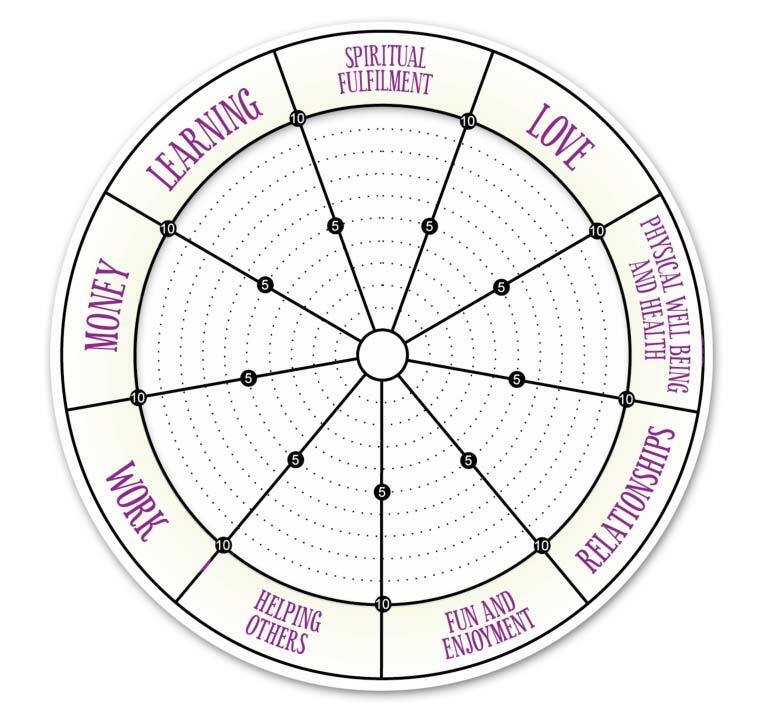 Whose moral compass do you use ? yours? your partner's? your parent's? your ancestor's? When do you actually allow yourself to be truly free to do the things you dream of? Many of my clients come because they feel that there is something keeping them from being really successful. On examination they discover that their lives are being controlled by beliefs which were installed by other's limited thinking. Often it is their parent's constant reminders to be careful, not to expect too much from life or themselves which govern their decisions. As soon as that thinking is challenged there is the opportunity to reassess not only what is wanted and how success will be measured but a sudden realisation that those scripts which have been running in the background can simply be switched off and other far more empowering ones installed. I'm reminded of a conversation I had with a guy who really whose dream it was to fly planes. It was his dream to fly Concord. His initial thinking was that children brought up as he was would never get to be a pilot. His parents and teachers would warn him not to get his hopes up in case he was disappointed. He was inclined to believe them but something nagged away at him and he applied to be a pilot. No one was more surprised than he when he was accepted. He had jumped the first hurdle. He had managed the challenge and became a commercial pilot. Yet he still had a hankering to fly Concorde. He was at a training session for pilots and got speaking to the instructor over a cup of coffee. He started to talk to the instructor saying how much he loved flying but his true wish was to fly Concorde. He told the instructor that he thought it was simply a pipe dream and that it would never happen. The instructor pulled him up short with the following "someone has got to do it, why shouldn't it be you?" He pondered this for a while and life went on and he forgot about the conversation until some years later when he saw a small advert for an experienced pilot to fly Concord. He immediately thought that he'd love to be that pilot but dismissed the idea as being something which happened to others. For several days he did nothing until he recalled the conversation he'd had with the instructor all that time ago. There was a sudden shift in his thinking. What was the worst that could happen? If he tried and failed he would be no worse off than he was at present. He decided to apply for the position. Rather than dwelling on the possibility of failing he remembered "someone has to be successful, it might as well be me!" That change in his thinking, was to change his life for ever. He gave a cracking interview, got the job and the rest as they say is history. Watch any baby learning to walk and you have an incredible lesson in self-belief and persistence. Babies are uncluttered by the panoply of limiting beliefs which hold most of us adults back. They decide that they want to walk and nothing or no-one gets ion their way. If they fall down ? they get up again. A bumped bottom is no barrier. Failing to walk does nothing to bruise their ego, they are simply focussed on creating success! They look for anything or anyone to hold them up, they clutch at any outstretched hand, armchair, table or passing dog and see it as something to help them achieve their goal. They don?t worry what other?s will think if they accept help, or what they look like, or how many times they falter and fall. They simply focus on their goal ? to walk unaided. Just think how life would be as an adult if we lived our lives in this way. How often have you avoided doing something or done something half - heartedly because you were frightened what others would think of you? How many of you have decided not to try at all in case you failed? How many of you look upon asking for help as a weakness and have struggled on when a bit of help would have made all the difference? I?ve learned to walk three times in my life time. Twice as an adult and it has been a real challenge. I?ve learned much from the process but probably the most important things have been that everything starts with that first step. That if you keep working at things, however difficult it may be, you will make progress. That progress can be measured in different ways and that it is easy to over -estimate what you can achieve in a day or a week and to hugely under ? estimate what you can achieve in a year or two. Next time you are facing a challenge think about the absolute conviction babies have that they will succeed and model it. To that conviction add the absolute determination and persistence that babies employ when learning to walk and your success will be within your grasp. If something is holding you back from achieving the success you desire contact me by clicking on the header of any page within the website. One of the principles of NLP, ENLP and the Law of attraction is that you get what you focus on. I and my clients are living proof that this principle is true in so many ways. When things are going wrong in your life it is very easy to fall into the trap of dwelling on all the problems. Interestingly when you dwell of the problems, the lack you have in your life it appears to grow. Noticing everything which is going wrong, all the things you can't afford, can't do and don't want appears to make them grow and take on greater significance. This is not only true about us as individuals. You only have to listen to someone complaining to feel all your positivity and lightness draining away. It is absolutely contagious. When you are part of an organisation where the culture is negative problems assume even more significance. As they do so, morale, creativity and productivity all reduce. The same is true when you spend time with those who have a positive and buoyant approach to life. You feel your mood lift and suddenly things which appeared to be too difficult become possible. Organisations which have a "can do" approach succeed in situations where others would falter and fail. As a wheelchair user it would be very easy to focus on the things I can't do, yet when I focus on all the things I can do they far outweigh the negative. What is your default setting? Do you look for the things which are going wrong in your life or those which are going well. If you are reading this blog the chances are you come from a background where you have enough to eat, clean water and a roof over your head, you can read and write and have a world of wonderful possibilities out there if you choose to see them. For a week why not make a conscious decision to look for everything in your life which is going well and to look for the gift in the things which are challenging. Of course this can seem daunting if it is not your usual way of looking at things so if you'd like some help why not contact me by clicking onto the header of any page on the website. It was Dickens who wrote about the two constants in our lives ? death and taxes. I believe if he lived now in our rapidly developing world he would add a third constant and that is change. Never before have things moved faster. The speed of change appears to be accelerating and there is no sign that the pace will slow in the future. Technology, medicine, and the formal infrastructure of the Western world are changing on a daily basis and they are just the tip of the iceberg. All of us need some sense of certainty or control in our lives; to feel safe and secure and to feel that we have some control over our destiny. The level of certainty each individual requires before they feel comfortable varies enormously. It is our individual attitude and ability to the not knowing what will happen which determines how well we deal with change. A good indicator is to ask for reactions to a surprise party. For many it would create a sense of dread. One client said, ?I?d love a surprise party if I knew in advance so I could have my hair done and buy a new dress. Oh and I?d like to know who is coming.? Others would enjoy the excitement of a total surprise. Feeling everything is out of control has a negative impact on our sense of self and our well- being. It is this sense of uncertainty which causes high levels of stress. A culture where staff see themselves as part of the solution and are actively engaged in the process. When things are really tough it is even more important that staff and leaders see themselves as an inter-dependent relationship. If you are involved in managing change for yourself or as a manager and you?d like some help or support contact me. 18/07/2011: What can you achieve? Do you estimate effectively? What is the impact of getting it wrong? Most of us over estimate what we can do in a day, a week or a month and hugely under estimate what we can achieve in a year or two or five. Does it matter? In reality there is a significant impact in the way we estimate what we are capable of. Think about your "To Do" list. How often do you have a list which goes on and on. You look at the list and it is absolutely overwhelming. Research shows that "incompletions", those things we know we should have got done but haven't so far completed, leech our energy. They sit on the edge of our consciousness and part of our energy and our attention is taken on knowing that there are things on our to do list which are outstanding. As time goes on and the jobs remain undone they continue to cost us energy. This effect is cumulative, it begins to demotivate and demoralise us. Think about the list of jobs you have outstanding at the moment. Does it make you feel light or heavy? The solution is to be realistic and to prioritize effectively. Consider the list of jobs you have to do. Grade them 1, 2, 3. 1 is - absolutely must be done today. 2 is -if I have time it would be good to do them today but it is not imperative. 3 is - needs to be done but not urgent at the moment. When we underestimate what we can achieve in a longer period of time we limit our potential. Most people plan from where they are now going forward. It is counter - productive as it encourages us to set our sights too low. A far more effective way to plan strategically is to set a target date. It could be 18 moths, two or three years in advance. Identify what you would like to have in place by that date. This works for both professional and personal planning. How will you know you have succeeded? Create as much detail as possible. Make it feel real. Having done this you can now plan backwards creating milestones along the way. Like some help in organising your day to day work load so you manage your time effectively and have more time for yourself or quality time with the family. Or want support in with planning strategically so you achieve your dreams contact me and let me help you make the dream a reality. So what's the problem? So what would be your ideal solution? How long have you had it? How will you know when you have achieved it? Whose fault is it? Do you have any previous experience which would help you? What can you do about it? What other resources could you call upon? Change your perception and you change your reality. It is your choice whether you see the cup half empty or the cup half full; Whether you choose to be empowered or diminished. Many people fail to recognise that it is entirely their choice but every choice even making no active choice has consequences. Let me demonstrate what I mean: I use a wheelchair. For many it is seen as something denoting a lack and is a very negative thing. I choose to see things very differently. For me it is a Chariot On Fire. It is an enabler, something which gives me the opportunity o get out there and take a full part in life. Think about the two alternatives. They have a very different energy about them and with each perception comes a very different attitude to life. We get more of the things we focus on. If you focus on lack and what you don?t or can?t have you are always going to feel that life has let you down, that things are bad and that you have to be a victim to circumstance. When you focus on what is going well and what you can do it offers a sense of possibility and hope. This sense of optimism has far reaching effects on our sense of well being, it stimulates the brain and the immune system to work more effectively and when applied consistently leaves you feeling empowered and energised. How often are you upset, disappointed or angry by what others say and do or the way in which they do it? We interpret everything within our world based on our beliefs and experiences to date. One of the down sides of this phenomenon is that we often spin stories around the words and actions of others which are entirely of our making. It has the potential to screw up relationships and generate a great deal of unhappiness. Imagine the scene. Partner 1 arrives home from work and is keen to tell their other half all about the day, particularly the problem they had with a colleague at work. Off they go full steam ahead and suddenly they realise the other person isn?t listening. They seem distracted. Partner 1 who is already very irritated by the day they have experienced at work is now annoyed by the lack of attention and creates the following story. I always take a real interest in what they are doing. The least they could do is listen to me when I?ve had a dreadful day. It?s just typical. They don?t really care. I put far more into that relationship than they ever did. No one really cares about me. It?s not fair, poor me. The reality ? Partner two is distracted by what has gone on in their day. They have not recognised the signals or subtext and are completely oblivious to the storm brewing. Partner 1 snaps and a row ensues. How much better would it be if Partner 1 was able to see the partner?s distraction as just that rather than making up a victim story. Most of the time the other person is not deliberately trying to upset us. They are simply sealing with their own stuff. Recognising that and not taking it as a personal affront would avert a huge number of problems. The biggest problem with having to be right is that it always makes someone else wrong. Thereby hangs the problem. How often do you feel you need to argue the pint, have the last word and show them that you are the one who is in the right? How good does the victory feel? Does it make you feel good about yourself? If you feel good does the feeling last long? It is my experience both personally and through the large numbers of clients I work with that needing to be seen to be right is based on a shaky sense of self worth. If you feel good about yourself and secure in your own ability you can afford to step back and let the other person think they are right. They will discover the truth soon enough. Of course if you are a parent and your child is about to do something dangerous these rules don?t apply but in general the things we latch on to when we fight to be right don?t really make any difference in the grand scheme of things. We just create the illusion that victory is important no matter what the cost in terms of the relationship and the other person?s sense of worth. My advice is choose very carefully when it is important to be seen to be right. Ask yourself if this really matters, what will it cost you to allow the other person to ?win?. If You Are Creating The Script For Your Own Life ?Story? Why Not Give Yourself A Stonkingly Good Part? We are constantly making sense of the world around us and in particular our interaction with others. We create a story based on our beliefs and that story becomes our reality. Common stories are ?I?m not good enough,? ?No one understands me,? ?I haven?t enough money / time / resources / education etc? ? If I say no, no one will like me? ?It is ok for everyone else, but I?m just unlucky?, the list is endless. Once we have created the story we then look for evidence to support it. We twist each situation and interaction with others to fit our belief and in doing so the belief becomes entrenched. The amazing thing is that we have the capacity to create stories where we are limited, the victim, the under dog or the hero or heroine with all the resources we need to succeed and live a fantastic life. As soon as you change the way you make and interpret stories everything changes. Whether it is for the better is entirely up to you. 07/07/2011: Are You Good Enough? Are You Worthy? Who decides whether you are good enough or worthy to achieve success, love, affluence? YOU do although for many people the script which runs around in their head saying over and over ?You aren?t good enough, you are stupid, you?ll never make anything of yourself?.? belongs to a parent, teacher or relative who made inappropriate comments when you were little. Of course he hadn?t realised that this was the case till we spoke. (This is commonly the case) The reality is actually very different. This is a man with a high level of qualification, a wide range of successes in other spheres under his belt who sabotaged his attempts to build his business because he held onto the erroneous belief he was stupid. As soon as he became aware of the limiting belief which was creating the glass ceiling he could begin to deal with it. I?m happy to report that he is enjoying a very different level of business success and has increased his profitability several times over. He now has a very different set of beliefs about his worthiness and the evidence to back it up. 30/11/1999: Are employers taking personal development seriously? Employers care more about staff development than they did twelve months ago, according to nationwide study of 1,000 employees of the UK's small and medium sized businesses. 58% of employees now feel their employer is committed to their personal development, a 10% rise which can only be a good thing. The study into 'Personal Development in the Workplace' released by breatheHR, also reveals an 8% rise in the number of SME employees with a development plan in place at work, up to 42%. I have been reading the results of this survey week with mixed feelings. The improvements in this year's findings are a positive step but changes still need to be made. Whilst 35% of respondents have discussed their future in the last six months, 65% have not, and 23% of employees have never had a conversation with their employer about their future development. By initiating change it is employers who have the most to gain in the long run, truly self-motivated people won't stick around at an organisation where they don't feel challenged or valued, while those staff members who need a push can often reveal hidden talents or skills when managed more effectively. 'We are snowed under 'or 'We can't find the time' are common excuses for not focusing on staff development. Out of hours activities can be a great alternative. For example, I recently facilitated a session with a theme of staff motivation and ownership. Staff members were prepared to meet in their own time to consider the strategic direction of the organisation and their part in it. The result has been lots of practical ideas from them. The bonus is they own the ideas so are fully committed to making them work. Staff social and team building activities don't have to be complicated or costly. A meal out where you pay for the pud or the wine, a night bowling or going to the Dogs can offer huge benefits in motivating staff and building relationships. East Anglia on the up! On a personal note I was delighted to see East Anglia shedding its tag at the UK's "least engaged" workforce, climbing from the bottom of the 'workforce engagement' table up to joint fifth, and more importantly the rise from 44.62% to 58% in employees who feel their career development is being taken seriously. Well done local employers!